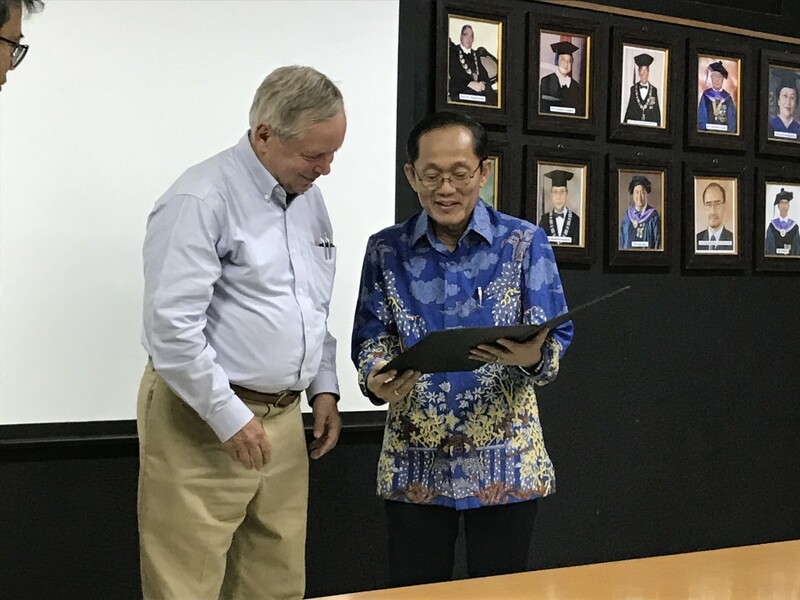 At a ceremony held at the Institute of Technology Bandung (ITB) on April 2, 2019, Dr. Christopher Silver, Professor of Urban and Regional Planning (and former Dean of the College of Design, Construction and Planning) was recognized as Honorary Professor. 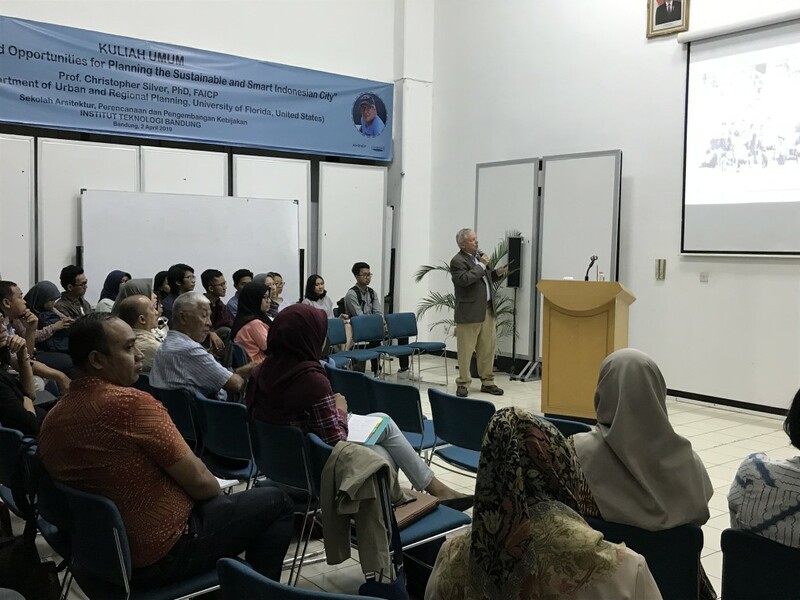 Professor Silver is currently in Indonesia as a Fulbright Senior Scholar at the University of Indonesia and has held three previous Fulbright appointments in Indonesia, two of which were the city and regional planning faculty at ITB. His engagement with ITB began in 1992 during a three-month teaching appointment and continued through the 1990s through a collaborative research project on participatory planning and urban development funded by the US Agency for International Development, and development of a tourism planning program that now is a regular degree offering at ITB. 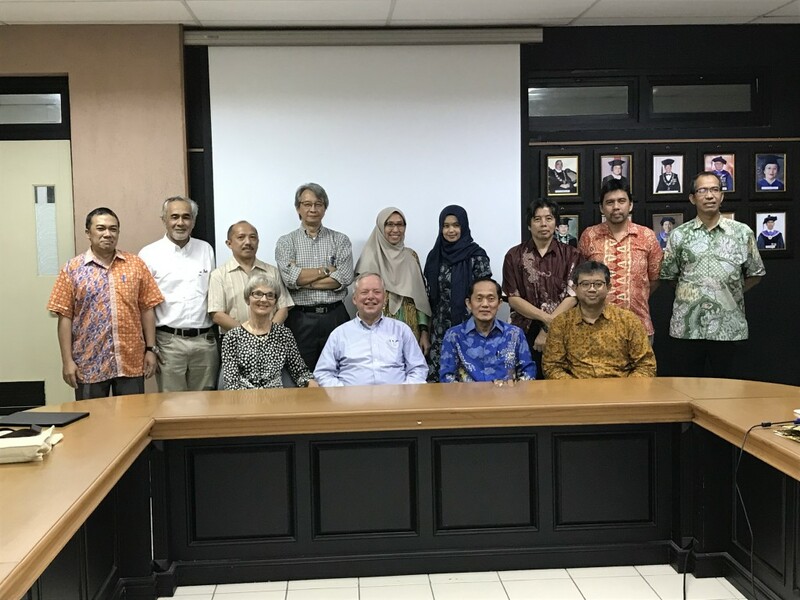 He facilitated US students and faculty to engage with ITB (including semester-long residences), the development of joint study programs, regular participation in their international conferences and supported several current faculty members through their PhD studies. In 2012, these contributions were recognized by being awarded the Ganesha Jasa Widya Utama award for contributions to Indonesian education by ITB. Most recently, he developed a joint studio project involved the University of Florida’s (UF) landscape architecture students and design and landscape students from ITB to examine the challenges of redeveloping waterways in Pangkal Pinang, the capital city of the province of Bangka-Belitung, whose environment has been degraded by over a century of tin mining. Additional opportunities for UF students and faculty to engage with ITB’s esteemed programs in architecture, planning and policy development are in preparation. Silver also serves on the editorial advisory board of their ranked Journal of Regional and City Planning. Dr. Silver is a Fulbright US Scholar Program grantee from January through May 2019. 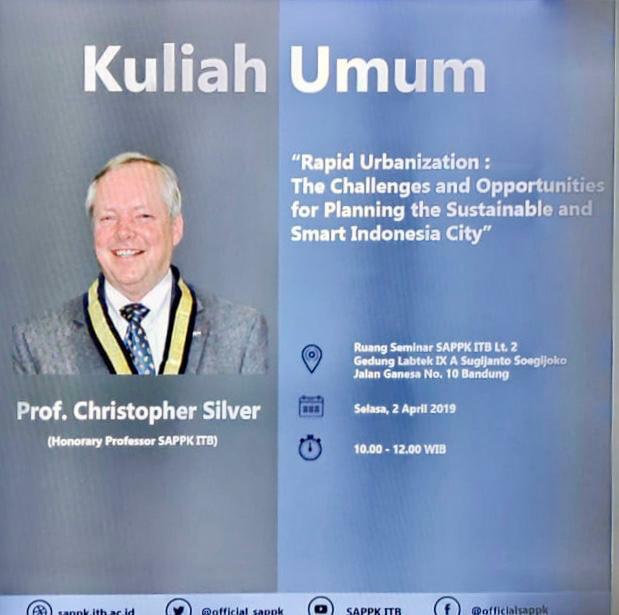 During this time, he will deliver lectures at the Department of Architecture, Faculty of Engineering at the University of Indonesia about sustainable urbanism, cities of the world, and sustainable community development.